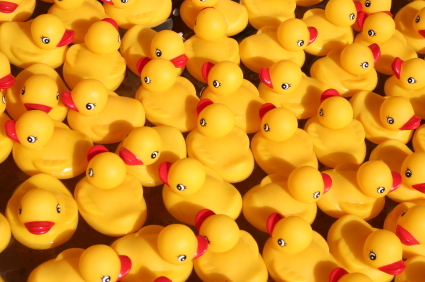 Pardon the idiom, but if you don't have your marketing ducks in a row it's hard to make a move into emerging media. Too many companies try to jump to Web2.0 and skip many important steps in the process. This makes for a hard sell internally and an even more awkward transition. This post focuses on what you're already doing online and how to make a smooth transition to 2.0. For the sake of this post, I'll assume you have a website. You've probably invested a pretty good amount of time and energy into it as well. But for most marketers, once a site is up and running, it is often left unattended. Technology and design patterns change constantly, if a site has gone more than 18 months with no changes it's probably stale. The best way to create a strategy to take advantage of the concepts behind Web2.0 is to build a solid foundation in the following areas. For each area, I will show how to get up to speed and set up the foundation for a 2.0 move. User Interface: As I mentioned, design tastes and patterns change constantly. If I asked you to describe the visual essence of Web2.0 I bet you would say things like, "shiny", "plastic" or "chrome". The real shift in the next version of websites is a move more toward application-like interfaces. Technology like AJAX and XML is making it easier for designers to make the web work easier for users. 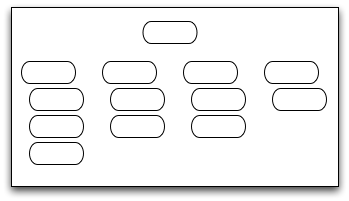 Instead of making people step through multiple pages of a form, it can load questions dynamically on one page. Users can move content around a page to see what they want where they want it (think iGoogle). The value proposition here for the users is that they click less, get more and connect with you faster. Take a good look at your homepage. What can you change today to help people connect with you? Is the contact information obvious? If you provide them a lot of data, can they manipulate it and take it with them in the way that adds the most value? Have you sat down with a customer and used the site to see how they do their job? Getting the experience right, making sure that every click adds value and letting people take it with them are great starting points to push into Web2.0. Engagement: This goes along with user interface. Engagement is the new metric buzzword. Page views and clicks are becoming less valuable as more ads are blocked and less pages are created. Engagement is spoken of in terms of time on site, repeat visits and content creation. Engagement, however, is unique from site to site. What is considered engaging on a blog is not what is engaging on a manufacturing or a non-profit site. Don't be afraid to create your own set of metrics. Look at what is valuable to you and what is engaging to the user and build something new. If you're using message boards on your site maybe a new metric is "comments per thread". Customer Service: This is the most overlooked opportunity on 99% of sites out there. If you have an email on the site that goes to customer service, what is your policy on response? What is the message that is sent to the user? Does the policy include a personal response or a form letter? Is it easy for users to reply back or does it go to a trash bin somewhere in cyber space. Every single contact point is a sales opportunity and too many go unanswered. If you have a customer service email or contact form, make sure it's routed to a service rep. Set expectations and communicate them to the users (response in 24 hours). Create a template that has re-contact information as well as a brief marketing message. Unanswered emails are deadly in a 2.0 world. They turn into angry blog posts, message board threads and a rallying point for people to gang up on you. Once the emails are returned you can move on to more advanced community-based support. Business Support: Let's face it, most sites out there are not e-commerce driven, but they all have a business purpose. Brand awareness, information dissemination, regulatory compliance, etc. What is the goal of your site? Do you have multiple goals? Are you accomplishing them? Here is a drill that I use to visualize the contrast between where companies place their value on their site and where users actually spend their time. Draw a map of your current site. You can use Visio, Word, pen and paper or anything else you have at your disposal. Just treat each page as a block and show them in their hierarchy. Now, create a copy of the map and color code each page so that is aligns with your business goals. 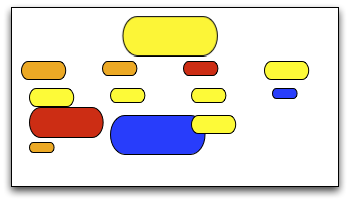 For this example we'll say red is a top tier page that generates revenue, orange is a second tier support page, yellow is a third tier information page and blue is non-essential. Hopefully these points shed some light and allow you to plan for growth into new media. Only with a strong foundation can you build to reach the next level. What other points would you add to this list? What's on your must-have list to "graduate" from 1.0 to 2.0? Drew's Note: Matt Dickman is an interactive marketing strategist with DigiKnow in Cleveland. He blogs at Techno//Marketer and is always the guy who offers a helping hand on projects big and small. Like Greg, Gavin, Cam, and Mark…he's a rock solid good guy. Very thought provoking, Matt. The color-coded modelling tool is something I will use in the near future, when speaking with my company’s decision makers. It will help drive home your point. Capitalizing on the time a customer spends on your website is something I’ve been pondering for some time. Coming up with a way to communicate these thoughts has eluded me, however. Nice write up bro; covers many nittier sides of what usability implies. Great Site, I love the design you made, good job. Yes, your use of colours and sizings is a quick and easy visual and effective. Most research shows that you will lose a site visitor within 3 seconds if they aren’t captured by your site or think it looks too difficult. Second 4 is the click out of the site or the ponder to click where ON the site. From there this sort of schema or model is a great concept. Good article – I especially like the coloured use of what would be a `cloud’ view of page views – I am going to busy tonight implementing that!